A deluxe Step 2 Step into Reading leveled reader based on the Disney classic film The Lion King! Simba the lion will one day become king--but his uncle Scar has other plans. Join Simba and his father, Mufasa, and his friends Nala, Timon, and Pumbaa as they earn their place in the Circle of Life. This Step 2 deluxe Step into Reading leveled reader is based on the Disney animated classic The Lion King. With over 30 stickers, this book is perfect for children ages 4 to 6. Step 2 readers use basic vocabulary and short sentences to tell simple stories. For children who recognize familiar words and can sound out new words with help. 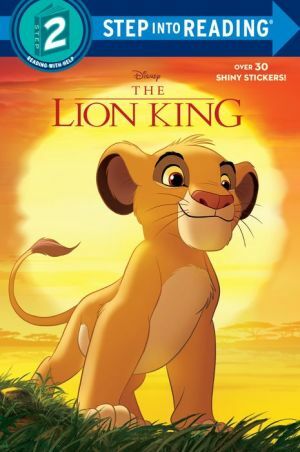 Disney The Lion King is a timeless tale of family, bravery, and loyalty, and stars Simba the lovable lion cub.